Carpet binding consists of a synthetic or cotton material that is sewn along the edge of a carpet. Designers use the binding to improve a carpet’s appearance and to prevent unraveling. 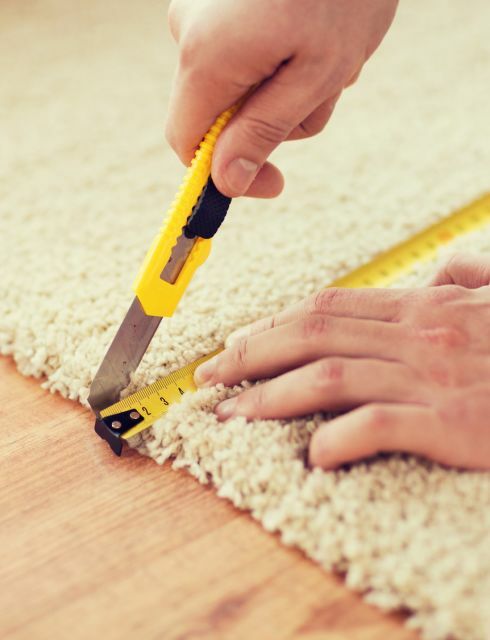 Here at Sherlock's Carpet & Tile, this service is done by members of our team with years of experience. Sherlock's Carpet & Tile offers its customers in Orland Park a professional binding & serging service. The next step involves selecting the binding. Designers usually bond the edges with a heat­ set tape since it provides a durable edge. Hand­-stitching techniques are also effective. However, rugs that are bounded this way are more expensive because designers must use pricey rug remnants. After the binding stage, the new rug can be placed on the floor. Homeowners in Orland Park who area rugs, have cleaner floors throughout the year. Kids appreciate that the material is soft under their feet. There are a variety of binding options that can be purchased at a low cost here at Sherlock's Carpet & Tile. The color selection is limitless, so you will have no problems finding something that suits your needs. Contact us today for a consultation or more info at (708) 232-3400.